We met… when we were kids. We both were and are members of the Tallaght Youth Band. I was 9 and Mick was 12, we started going out 11 years later and got married 10 years after that. Our proposal… was at home a day after my 28th birthday so I was really caught off guard. I was just home from a TRX class and was a sweaty mess! Mick had “will you marry me?” spelt out on cupcakes. We went ring shopping the next day. 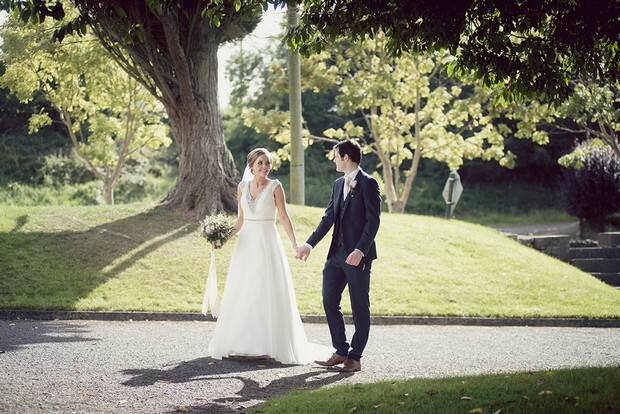 My dress… was a Modeca from Truly Bridal Boutique Naas. I wanted a flowy skirt and soon realised when I started trying dresses on that I wanted a high neck and sleeves. Our wedding theme/colours… We just stuck to pastel colours. 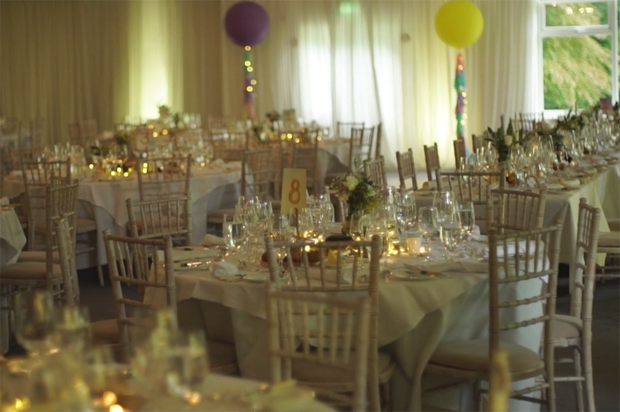 Rathsallagh was such a stunning countryside venue, it was theme enough. 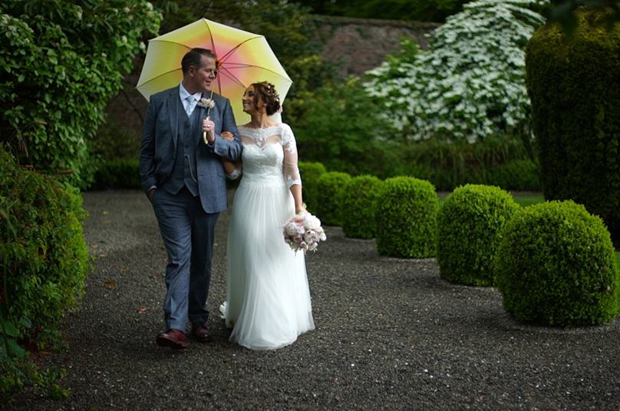 My hair and makeup… my hair was by Bridal Hair by Lorraine Whelan. She had done my sister’s wedding the year before and I soon realised that she understood exactly what we were thinking and did exactly what we asked for – all that you want! My make up was done by a Down based makeup artist called Catherine Blackhall. She had done a friend’s wedding the year before and I knew she was perfect. I wanted the opposite of bridal, not natural or browns etc. I wanted something glam with a flawless base and that’s exactly what I got. His suit… was a custom made McGee suit from Mardec Clothing in Naas. What our bridal party wore… the suits were again McGee from Mardec Clothing in Naas and the bridesmaid dresses were from Mix Bridal. I was determined that my bridesmaids would all wear whatever they wanted as long as it fitted in with the pastels theme. They all managed to pick something really similar that tied in with the flowy style of the skirt of my dress. Mix Bridal has lots of styles and materials to choose from and they then make them to order. Our ceremony… was a humanist ceremony performed by Brian Whiteside in the Orangery of Rathsallagh House. He had performed both my older sisters’ weddings before and he did a fantastic job of making the ceremony about us and making our families feel involved. 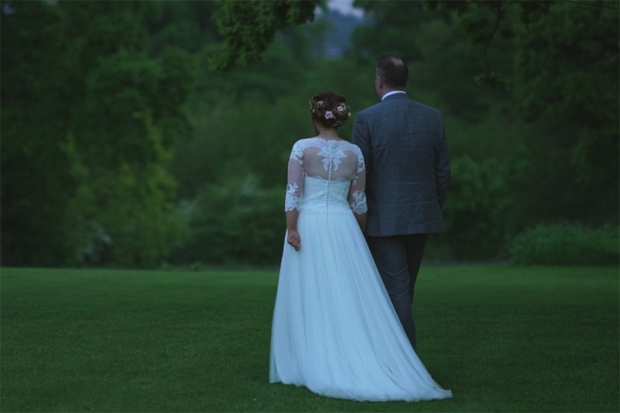 We chose our videographer because… Limelight Wedding Films had done my sister’s wedding the year before and Mick’s cousin’s the year before. 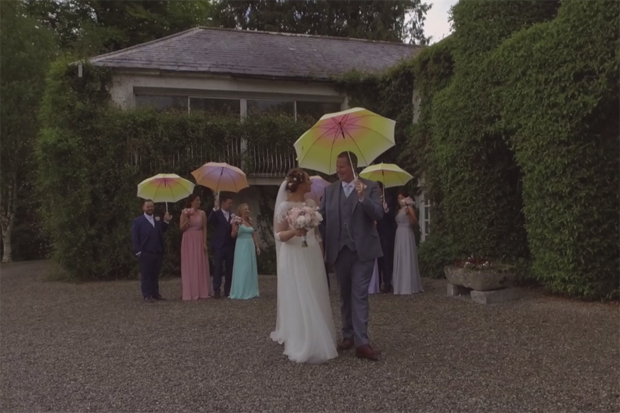 They have a great unique cinematic style and I remembered from my sister’s wedding how inconspicuous Gerard was on the day and couldn’t get over the moments he captured for my sister. 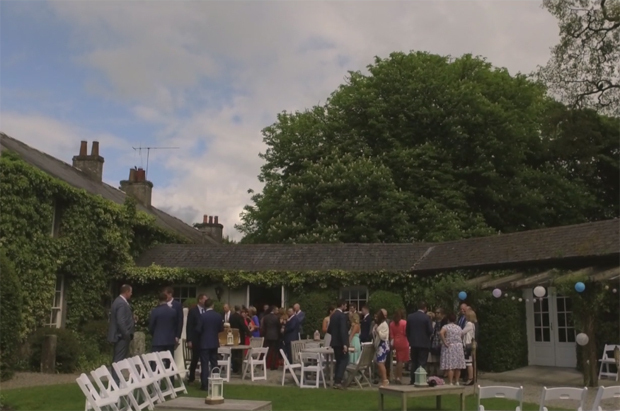 We chose our venue because… Rathsallagh House was everything we were looking for. It was only the second place we visited. 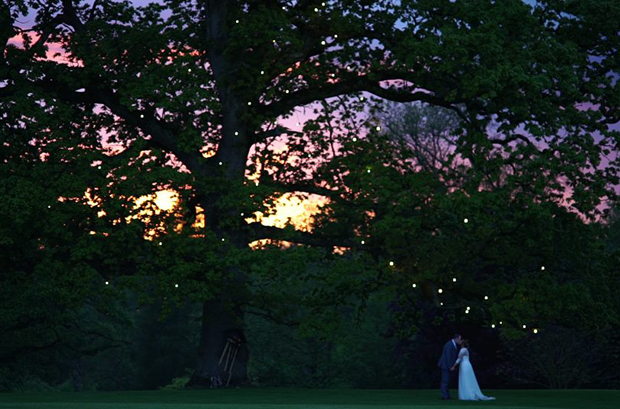 We really wanted a venue that we could have to ourselves for the weekend, had stunning grounds and had great food. Rathsallagh has exceptional food and staff along with everything else so it was the clear winner. My favourite part of the wedding day… was the speeches. I knew from previous weddings that the speeches would be great and funny but they really surpassed themselves. Both Dads did a fantastic job and Mick along with his joint best men Paul and Louis were hilarious. People still comment on how funny they were.